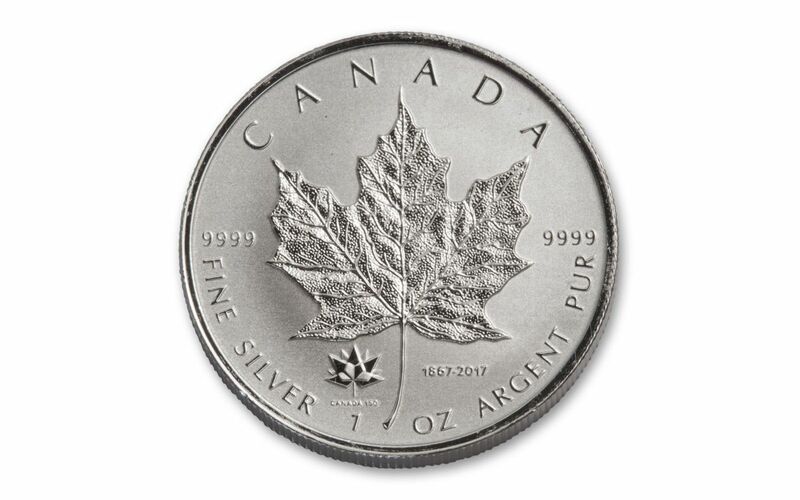 Since 1988, the Royal Canadian Mint have been producing Silver Maple Leaf coins with stunning detail and sophisticated design. To honor the 150th anniversary of Confederation in Canada, the Royal Canadian Mint added a mint mark of four diamond shapes connected to the stem. In addition, the words Canada 150 and the historic dates of 1867-2017 are included on the Reverse. 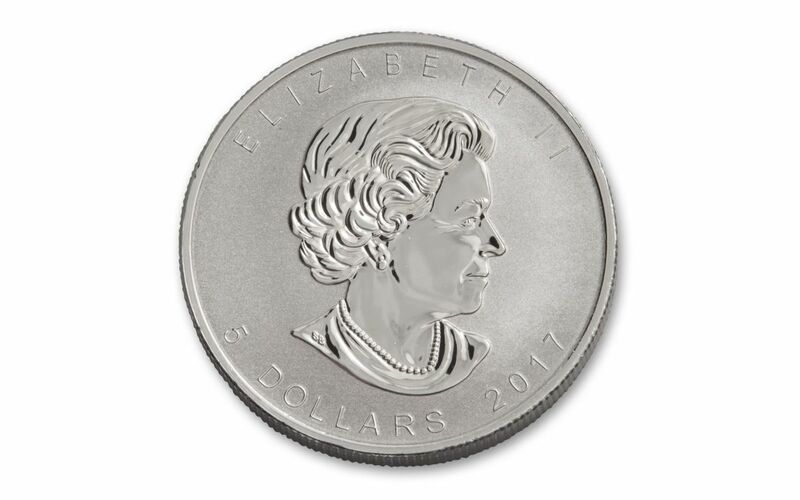 A profile of Her Majesty, Queen Elizabeth II graces the Obverse side of the coin as well. Each coin is struck in one Troy ounce of 99.99% pure silver and has a legal tender value of $5. As you can expect, collectors clamor over each new annual release of Maple Leafs. 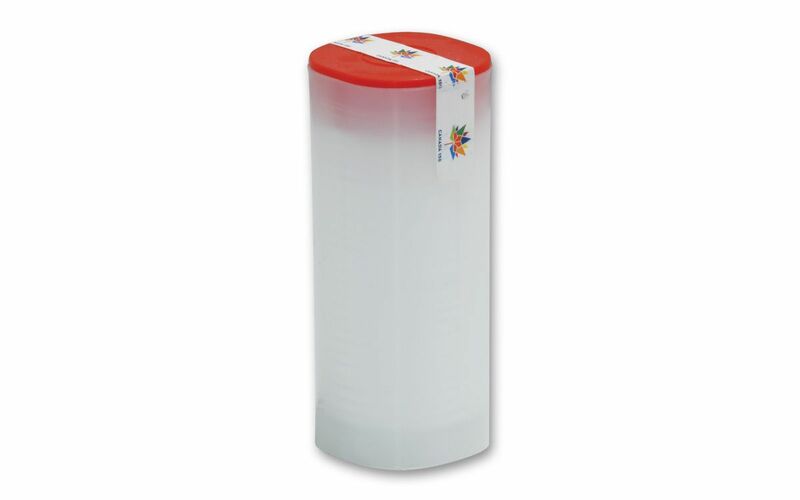 Get yours in a stack of 25, packed in a mint sealed roll. 150th Anniversary – On July 1st, 1867 the British colonies of Canada, Nova Scotia, and New Brunswick were united into as one federation. Reverse Proof Condition -- Minted using specially treated dies and struck two or more times. By striking it more than once the metal is forced into all the crevices of the die giving a very fine detail to the design on the coin. Reverse proof coins have frosted fields and reflective mirror-like images. One Troy Ounce of 99.99% Fine Silver -- This high silver content makes this coin among the finest bullion coins worldwide. $5 Legal Tender -- The Silver Maple Leaf is issued annually by the Government of Canada and has a legal tender value of $5. 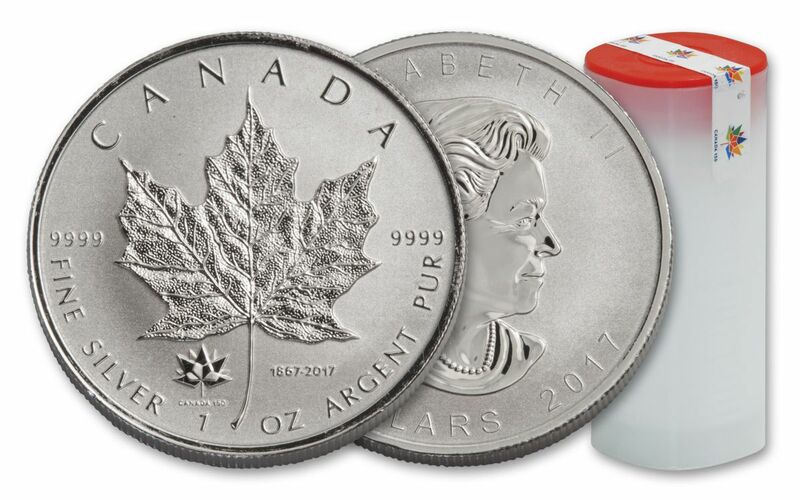 Get them by the roll -- Get 25 Troy ounces of Canadian silver in one roll of 25 1-oz coin,s exactly as they left the Royal Canadian Mint. Don’t miss out! Order your 2017 Silver Maple Leaf 150th Anniversary Reverse Proof 25 Coin Roll at GovMint.com today!